Using VPN (Virtual Private Network), one can securely transmit data back and forth in a public place which relies on a public Internet connection. Wait, what is a public Internet connection? It’s just an Internet connection in which just about anyone who has a computer can tap into and use. A good example would be at a Starbucks. Transmitting data in a public location is a very dangerous thing to do (i.e., only if you’re connecting to the public Internet connection), because you never know someone might do something nefarious nearby. He or she might sniff the network traffics, and this means anything you transmit through a public Internet connection can be intercepted by such a person. With VPN, it will be a lot harder for such an evildoer to actually get hold of your data in a public place. Why using VPN can safeguard your data better when you’re connecting to a public Internet connection? VPN will create a safe connection between your computer and a VPN server, and whatever gets transmitted through a VPN connection will be encrypted. Nonetheless, VPN isn’t an end to end encrypted connection. What this means is that when your data leaves VPN server so it can go to a server which hosts the web service on the Internet, the data will become unencrypted. How come? The Internet isn’t opening up an encrypted channel with your VPN server! To put this in another way, it’s only the computer which you use to connect to a VPN server can actually open up an encrypted channel with the VPN server. This is why you need a VPN client. Nowadays, you don’t have to install VPN client much, because most operating systems (i.e., Linux, Mac OS X, Windows) come with a VPN client by default. You might have to install a VPN client if you’re connecting to a non-standard, third party VPN server/service. You can imagine the VPN encrypted channel as in a VPN tunnel or just a tunnel where cars travel through. When a car got out of a tunnel, the daylight will hit the car in every direction. Got the gist? VPN is definitely a good thing to have when you are using the Internet in a public location. Even though VPN isn’t an end to end encrypted connection, it’s still going to prevent the hackers in a public location from hacking you. Of course, he or she can try, but it won’t be easy! Let say, the hacker cannot magically insert himself or herself between the VPN server and the web service (which locates somewhere on the Internet and you want to connect to). If the hacker wants to hack you in a public spot when you’re using VPN, he or she must hack your VPN connection first, and then everything else would be secondary. To be even more secure, you can totally transmit all data within HTTPS protocol (a secure/encrypted hypertext transfer protocol), and this way the hacker is going to work even harder. This means, a hacker must first hack your VPN connection, and then your HTTPS connection afterward. VPN connection itself is already a difficult thing to tamper with. Right after the break, you can check out a video I made on how to allow Windows 8 to host a VPN server/service. 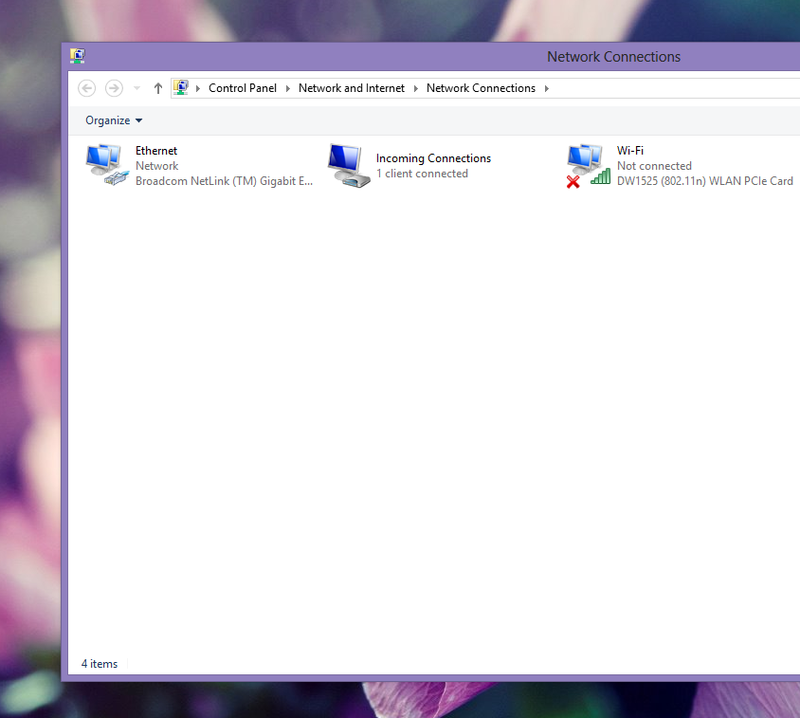 Running a VPN server/service on Windows 8 allows you to go just about anywhere and connect back home for a VPN connection. Of course, if your home network isn’t secure and already being infected with hackers’ exploits, then your VPN connection might as well be rendered insecure. So, make sure your home network is actually well guarded. A well guarded home network will definitely ensure your home devices such as a Windows 8 computer — which runs VPN server — won’t be tampered with. I think a well guarded network equates to deploying all security elements within a network, and this means something as a strong firewall, strong antivirus software, strong network security policies, and the list would go on. This entry was posted in Internet, Networking, Security and tagged encrypted channel, encryption, Internet, internet access, Mac OS X, security, Software, Starbucks, Technology, virtual private network, VPN, vpn server, Windows 8. Bookmark the permalink.